Our next study in Mark's Gospel is found in Mark chapter 9, we're reading from verse 41 through to verse 50 - so Mark chapter 9, verses 41 to 50. The title I have taken for this study is: 'The Stumbling-Blocks To Greatness', our last study was 'True Greatness', what it is and how can be achieved - and I think the Lord's emphasis now in these subsequent verses is the stumbling-blocks that there can be to us achieving true greatness. So we take up our reading at verse 41, the Lord Jesus speaking again says: "For whosoever shall give you a cup of water to drink in my name, because ye belong to Christ, verily I say unto you, he shall not lose his reward. And whosoever shall offend one of these little ones that believe in me, it is better for him that a millstone were hanged about his neck, and he were cast into the sea. And if thy hand offend thee, cut it off: it is better for thee to enter into life maimed, than having two hands to go into hell, into the fire that never shall be quenched: Where their worm dieth not, and the fire is not quenched. And if thy foot offend thee, cut it off: it is better for thee to enter halt into life, than having two feet to be cast into hell, into the fire that never shall be quenched: Where their worm dieth not, and the fire is not quenched. And if thine eye offend thee, pluck it out: it is better for thee to enter into the kingdom of God with one eye, than having two eyes to be cast into hell fire: Where their worm dieth not, and the fire is not quenched. For every one shall be salted with fire, and every sacrifice shall be salted with salt. Salt is good: but if the salt have lost his saltness, wherewith will ye season it? Have salt in yourselves, and have peace one with another". Now we have seen in many studies in past weeks that Mark's gospel is the gospel of the Suffering Servant, and the key verse, of course, to the gospel is found in the next chapter - chapter 10 and verse 45 - where the Lord Jesus says: 'For even the Son of man came not to be ministered unto', or served, 'but to minister', serve, 'and to give his life a ransom for many'. Of course the context of that key verse was again the disciples, two of whom were James and John, asking the Lord Jesus Christ who would be greatest, and who would sit at either side of His throne in God's kingdom. You can read that, verse 42 right through to verse 45 of chapter 10 - and the emphasis of this gospel is that the Son of Man, the great Suffering Servant, came not to be served but to serve, and give His life a ransom for many. So the theme of the gospel of Mark is sacrifice and service, that's why Mark concentrates on the works of the Lord Jesus rather than the words of the Lord Jesus: His miracles, His great acts rather than the teachings and parables that we might find more of in other of the Gospels. This, of course, Mark's gospel, is the gospel of the cross, leading all the way to Calvary where there would be that greatest act of all sacrifice and service for the sins of all mankind, as the Lord Jesus lays down His life as a ransom for many. So the message of Mark's gospel is that the Saviour who God has sent must suffer to save. We know how the Lord has been teaching the disciples this great lesson over again and again. In chapter 9 verse 31 He taught them: 'The Son of man is delivered into the hands of men, and they shall kill him; and after that he is killed, he shall rise the third day'. He taught the same in verse 12 of chapter 9, in chapter 8 verse 31, and we referred already to chapter 10 verses 33 and 34. Now, of course, we've seen that the disciples, they didn't get the message! They didn't understand this Calvary Road, this way of the cross that the Saviour must go. Of course in this purple passage of Mark chapter 8 we see this manifested, the disciples are told in verse 31: 'He began to teach them, that the Son of man must suffer many things, and be rejected of the elders, and of the chief priests, and scribes, and be killed, and after three days rise again. And he spake that saying openly. And Peter took him, and began to rebuke him' - and he was only a spokesman for the other disciples. They didn't understand the way of the cross - in chapter 9 and verse 32 again it's evidenced, after He spoke about the cross: 'But they understood not that saying, and were afraid to ask him'. So there was a resistance among the twelve to the Lord's proclamation that He must go to the cross and die. Now, as we have touched on in previous weeks, this resistance was not a theological problem, it was more of a practical problem; because they realised that they had left all to follow the Lord Jesus, and therefore whatever happened to Him would happen to them. If He died on a cross, in all likelihood they would be led to crosses. So the Lord Jesus, of course, was teaching them that there is a cost to discipleship. That's why, in chapter 8, He moved from speaking about His own cross to their cross and our cross. He taught them in chapter 8 that discipleship is a matter of profits and losses. We have to deny ourselves, take up our cross, and follow Christ. It's a matter of not only profits and losses, but choices and crosses: we've got to decide to follow Jesus, draw a line in the sand and say, 'There's no turning back, no turning back'. We've got to face this great question of discipleship: are we going to waste our life on the things of this earth, or are we going to invest our life in eternal realities, and therefore find our lives in a day that is yet to be? Of course this was tremendously illustrated in the Transfiguration incident in chapter 9. What the Lord was getting to them was that the suffering must come, and then the glory - you can't put those things back to front. Glory cannot, true glory, true greatness, cannot come without suffering. Now, of course, Satan offers glory without suffering, and in the wilderness temptation of our Lord Jesus in Matthew 4 that's exactly what he did. He took Him to a high mountain and showed Him all the kingdoms of the Earth, and offered them to the Lord if He would just fall at his feet and worship him. Of course the Lord was not going to fall down and worship the devil, and the fact of the matter is that the glory that Satan offers us ends up rather to be suffering without glory - because God's ordained order is always the cross and then the crown, the suffering and then the glory. Mark's great theme is that if we want true greatness, our lives will be marked by service and sacrifice, just as the Suffering Servant's was. Now the twelve were dull in understanding this - I think probably because they were still hankering after their own glory. I feel this is evidenced in the incident that just comes before our reading today. In verses 38 to 41, you remember there was this one who was casting out devils in the name of the Lord Jesus, and the twelve would not receive this unknown little one who believed in Christ because, they said, 'He does not follow us'. Now we see from our reading today, verse 41, that the Lord Jesus says: 'Whosoever shall give you a cup of water to drink in my name, because ye belong to Christ, verily I say unto you, he shall not lose his reward'. The Lord is emphasising that the issue is not a question of whether one belongs to a particular group, whether it's the twelve disciples or another group, or whether others follow our ways, the great issue - as verse 41 says - is whether we belong to Christ. Do they belong to Christ? That is the tie binding all believers together, it was in the days of our Lord Jesus, the days of the Acts of the Apostles, the early church, the days of the Epistles, the days right to this very day: do we belong to Christ? We drew a circle that took them in'. That's what the Lord Jesus calls us to do: to embrace all who truly belong to Christ. Is that not what John taught in his epistle, 1 John 3:14: 'We know that we have passed from death unto life, because we love the brethren'. It is a mark of the child of God to show love towards brothers and sisters in Christ. Here in chapter 9 this unknown little one, who didn't belong to the twelve, cast out a demon - what a spectacular act! You remember the twelve had failed in that very thing, regarding the demon-possessed boy - and I wonder, it might be implied here that there was resentment in their heart, there was pride because...they're the twelve! 'We're among the twelve! We're the ones who were chosen and called by the Lord Himself! We're the ones who were ordained and given this great power to do signs and wonders!' - and yet they couldn't do it. Here's a man that wasn't among their number, and he was doing that powerful thing. He's emphasising this truth that we are to accept all of His children. Even when we entertain a simple servant of Christ, it is to entertain Christ Himself! Here is another lesson on service: you don't have to do great works like exorcism to know greatness in God's kingdom. Verse 41 is teaching us that even a cup of water given to one of the least servants will not go unrewarded. The Lord has been teaching this over and over again to them: true greatness is humility and acceptance of others who belong to Christ. You remember in verse 34 of chapter 9, the Lord Jesus heard them again disputing who would be the greatest, in verse 35: 'He sat down, and called the twelve, and saith unto them, If any man desire to be first, the same shall be last of all, and servant of all. And he took a child, and set him in the midst of them: and when he had taken him in his arms, he said unto them, Whosoever shall receive one of such children in my name, receiveth me: and whosoever shall receive me, receiveth not me, but him that sent me'. Now of course I think we saw in previous studies that the word for 'child' here is the same Aramaic word for 'servant', and I think the Lord is playing on these words, that though we are to accept little children He's emphasising this truth that we are to accept all of His children. Even when we entertain a simple servant of Christ, it is to entertain Christ Himself! Indeed, it is to embrace God Himself - what a truth! In the mystery of the body of Christ, when we receive other children of God, even the least of them, we receive God Himself! Acceptance of all God's people opens us up to a deeper knowledge and experience of Jesus Christ personally, and God Almighty. Oh, could there be a greater motivation for embracing all of God's true children than that? To know Christ deeper, to know God more fully? So we see here that true greatness is seen in the blessing received by the least of the servants in the least of service. If you give a cup of water in Christ's name, you'll not lose your reward. Now that's the positive aspect of true greatness: a blessing received by the least of servants in the least of service. But there is a negative aspect to true greatness seen in verse 42, there is a curse pronounced on any who harm or hinder one of Christ's little ones - a curse pronounced on any who harm or hinder them. Again, true greatness in both these aspects, right throughout Mark's gospel, comes not by force, not by power, but by servanthood, humility, sacrifice - and our Lord Jesus pronounces: 'Woe to any who offend one of these little ones of mine'. So let's look at how these little ones, these servants of Christ, can be offended. The word 'offend' simply means 'to stumble', literally 'to cause to fall', we could use the word 'stumbling-block'. There are three areas, stumbling-blocks to true greatness, that I want you to see today. First of all: the Lord points out that we ought not to be a stumbling-block to our brother or sister in Christ. Then secondly: we ought not to be a stumbling-block to ourselves in our walk of faith with God. And thirdly: we ought not to be a stumbling-block to the world, those around us who are looking on, seeing our conduct and manner of life - we could be a stumbling-block to them trusting Christ. Let's deal with the first one: don't be a stumbling-block to your brother. This, of course, is seen in verse 42: 'Whosoever shall offend one of these little ones that believe in me, it is better for him that a millstone were hanged about his neck, and he were cast into the sea'. To offend, it's to stumble, or to entice, or even entrap - and it is being spoken of here of a fellow believer in Christ, if we take these 'little ones' to be the least of the servants of the Saviour. What is envisaged here is that it is possible for us as children of God to cause lifelong spiritual damage to our brothers and sisters in Christ, if we become a stumbling-block to them. Indeed, the Lord shows the import of this issue when He says: 'It would be better to be drowned with a millstone around one's neck, than to cause a little one to stray from the path of holiness and truth'. Now you've got to understand something about what this 'millstone' is. A large upper millstone was so heavy that a donkey had to turn it in order to grind the wheat and the grain, but the Gentiles took these upper millstones and adapted them in a form of execution - and of course that became repugnant to the Jews. Everything that the Gentiles, particularly the Romans, did was repugnant to them. Yet the Lord Jesus is taking this very graphic method of execution that was so abhorrent to the Jew, and He says: 'It's more desirable to die like that, than to lead another Christian into sin'. It shows you how serious it is, doesn't it? Now these twelve disciples would have known exactly what the Lord Jesus was talking about, because this had been the fate - dying with a millstone around your neck - for many insurgents, terrorists of the day. Indeed, the leaders of an insurrection under the early zealot leader, Judas the Galilean, who Gamaliel mentions in Acts chapter 5:37, the Romans took him and drowned him in a lake by this very method. One biblical commentator says: 'In their imaginations the twelve could see the drowned bodies of the victims tethered to great millstones, as they swayed to and fro with the currents. There is something particularly horrifying about this image, being dropped down, down into the darkness, struggling, and then hanging motionless in the darkness, hidden from life and the world'. The Lord is using the most graphic terms to make this point, that we ought to never be a stumbling-block to brothers and sisters - it would be better to suffer this fate than ever to be an enticement or an entrapment to another brother in Christ! In verse 42 the Lord's servant, Jesus says, must consider what effects his words and his actions will have on others. You know, we live in a very individualistic age, where 'me, I, mine; me, myself and I' is the motto really of our daily existence and motivation for life. 'Number one', 'I trouble' if you like to call it that. Very few, even in the church of Jesus Christ, are motivated to live for others, to live to help others, to live to make sure that they're not a hindrance to others. Yet this is the life of the servant, to be motivated not by 'me, my, myself and I', but rather others! That I may live like Thee'. It's possible to live for others, and it's oh so terribly possible to offend others. Let me give you two ways that we can offend others that I think are particularly in context here. First of all: we can offend others by our sectarianism, we see this spirit in the disciples. This unknown little one casting out demons was not one of their number, though he belonged to Christ. Just because someone is not one of our number, he's not in our denomination, he's not in our group, he's not in our church, he's not of our persuasion - whatever that may be, whether theological or ecclesiastical. It might be pride, pride, as far as we're concerned, in what we are, what we have, or what we believe, or the stand we take. It might be envy of another man or woman's gift, spiritual success in ministry. It might be personal strife, problems that we have individually with other believers - but these things can be a stumbling-block to many! To see saints bickering among themselves over foolish things, and quarrelling over lesser things, at the expense of the greatest things - that's where we are now today! We are in trouble as the church, because we are fighting amongst ourselves and the great issues of the faith are being neglected! We are in trouble as the church, because we are fighting amongst ourselves and the great issues of the faith are being neglected! Indeed, wasn't this the mistake the Pharisees made? The Lord Himself indicted them regarding it in Matthew 23:23: 'Woe unto you, scribes and Pharisees, hypocrites! for ye pay tithe of mint and anise and cummin, and have omitted the weightier matters of the law, judgment, mercy, and faith: these ought ye to have done, and not to leave the other undone'. So He's saying there: 'I don't expect you to sacrifice doctrine on the altar of love', but what we are to be is - as Ephesians 4:15 says - 'speaking the truth in love', those two have to be together: love and truth. We ought to love one another, for that is the mark that we are Christ's disciples. Sectarianism, pride, envy, strife - those can be a stumbling-block to so many in the faith. But here is a second application of this: we can be a stumbling-block to our brothers and sisters by using our liberty, or letting our liberty be an enticement or entrapment to others by flaunting our liberty, by displaying the freedom that we have in Christ from law. Praise God, we don't operate under law but under grace, and it's the law of the Spirit that we live by - but so many can go overboard into an extreme, that they actually go into the realms of the flesh and transgression and sin. They pride themselves in this as their Christian liberty! Now Paul very strongly forbade this type of behaviour, primarily because of the effect it has on the weaker brother in Christ. Particularly over the issue of meat sacrificed to idols, Paul said in 1 Corinthians 6:12: 'All things are lawful unto me, but all things are not expedient', they're not beneficial, they're not helpful, 'all things are lawful for me, but I will not be brought under the power of any'. First Corinthians 8:13: 'Wherefore, if meat make my brother to offend, I will eat no flesh while the world standeth, lest I make my brother to offend'. Romans 14:21: 'It is good neither to eat flesh, nor to drink wine, nor any thing whereby thy brother stumbleth, or is offended, or is made weak'. In other words, if there's something that I am doing, or I am engaging in that is a stumbling-block to my brother or sister, it is better that I do not do it at all as cause them to fall! So we need to ask ourselves: does my life help or hinder other people as Christians? Don't be a stumbling-block to your brother, verse 42 is teaching. Then secondly, the Lord Jesus says: don't be a stumbling-block to yourself. This is, I think, what He's getting across in verses 43 to 48. He says it would be better to sacrifice the use of these organs, and He refers to the hand, the foot, and the eye; it would be better to sacrifice those than to allow them to drag us into hell - and He uses the word 'Gehenna' for hell, which is that very strong word that speaks of an eternal hell that is mentioned as the Lake of Fire in the book of Revelation, and it was so illustrated by that place, the Valley of Gehenna, the Hinnon Valley that was the rubbish tip where the fire never went out, where they burned all their rubbish constantly outside Jerusalem, and dead bodies were thrown there and the worms ate them. You see, by our abuse of our hands, our feet, and our eyes, the Lord Jesus is teaching that we can actually bring judgement upon ourselves. Now, please be careful here, because the Lord is not advocating something akin to Islamic law, cutting off limbs because of sin, or to prevent sin - because we know from what the Lord has already told us here, and right through the Scriptures, that self-mutilation cannot deal with sin. Sin is the issue of the heart, and in this very gospel our Lord Jesus, in chapter 7 of Mark and verses 20 through to 23, says: 'That which cometh out of the man, that defileth the man. For from within, out of the heart of men, proceed evil thoughts, adulteries, fornications, murders, Thefts, covetousness, wickedness, deceit, lasciviousness, an evil eye, blasphemy, pride, foolishness: All these evil things come from within, and defile the man'. So the actions of the hand, the foot, and the eye that the Lord is speaking of here only express what is in the heart. The argument of the Lord, I think, is quite plain: it is better to enter into life, and into God's kingdom, without earthly things that would hinder, than to remain in unbelief and finally be cast into hell, into the fire that never shall be quenched. But the heart must be changed first! Let's not externalise this problem: if we could get right with God by just tying up our hands, or covering our eyes, or binding up our feet - well, that would be wonderful, wouldn't it? Then we would go into legalistic religion - but the heart of the problem is the problem of the heart, and it must be solved first. But the Lord is teaching here that once it is solved, we must beware of stumbling ourselves in these external areas: the hand, the foot, and the eye. He's not advocating physical mutilation, but spiritual mortification. He's using figurative language that He often does, He's saying drastic action is needed here! You need to prioritise if you're going to be a disciple! Those who set out on the true path of discipleship must constantly battle with natural desires that are often executed through the hand, through the foot and the eye - appetites of the old nature - and if we cater to those things, that will spell ruin to our discipleship; but if we can control these aspects of the hand, the foot, the eye it will ensure spiritual victory. Again, what is the principle here? It is gain out of loss. We see it again and again through Mark's gospel and through the teaching of our Lord on discipleship: gain out of loss. If you pamper sin in your life, you will lose your salty Christ-like character, you will lose your ability to affect others for Christ. So, how do you make sure that doesn't happen? You've got to be ruthless, you've got to have self-discipline, you've got to mortify the flesh. Now, let me say this categorically, and this is so important that you grasp this: Christ is not advocating that we do this in the power of the flesh, it cannot be done in the power of the flesh! You cannot control your sinful appetites and natural desires through the power of the flesh, it must be done through the Spirit: mortify these things through the Spirit! Realise that Christ has put these things to death for you on the cross of Calvary, and by faith and faith alone say: 'I cannot do anything, it's impossible for me to control my hands, my feet, and my eyes - but the power is in the blood of the cross, and the glorious resurrection of Christ, and I believe in that! I self-discipline ruthlessly, drastically, with sin - as a surgeon does with a cancerous tumour, taking a scalpel to it - not by the power of the flesh, but in the power of the Spirit'. That is how you gain by losing! Don't be a stumbling-block to yourself. Is that the way we deal with the external manifestations of the fleshy appetites in our life, with the things that our hands do, and the places our feet go, and the things that our eyes look upon? Billy Sunday, the great evangelist, said: 'One reason why sin flourishes is that it is treated like a cream puff instead of a rattlesnake'. Do we realise the sinfulness of sin, the deadliness of sin in our Christian walk? The Kingdom of God is so great, the Lord Jesus is teaching, that no sacrifice is too great to make for it! Now come to verses 49 and 50, they have been called the most difficult verses in the New Testament, many explanations are made of it - let's read it together: 'For every one shall be salted with fire, and every sacrifice shall be salted with salt. Salt is good: but if the salt have lost his saltness, wherewith will ye season it? Have salt in yourselves, and have peace one with another'. Now whatever we don't understand about these verses, I think it's certain that sacrifice is pictured here, because salt and fire were ingredients to the Old Testament sacrifices. Now we know that the Lord Jesus is speaking of a living sacrifice here, sacrificing hands and feet and eyes, but of course that is in keeping with what Paul later says in Romans 12: 'I beseech you therefore, brethren, by the mercies of God, that ye present your bodies a living sacrifice, holy, acceptable unto God, which is your reasonable service' - it's expected of you. Do we realise the sinfulness of sin, the deadliness of sin in our Christian walk? The Kingdom of God is so great, the Lord Jesus is teaching, that no sacrifice is too great to make for it! So the picture is one of sacrifice, living sacrifice, and I think what the Lord is saying here is: 'Would you rather endure the fires of hell as a lost sinner, or the purifying fires of God as a sacrifice given to Him for His glory?'. You see, salt also speaks of preservation. He, perhaps, is asking: 'Would you be preserved in hell for judgement, or preserved as a sacrifice for God's glory?'. Of course, fire doesn't just speak of sacrifice, fire speaks of suffering, fire speaks of trials and persecutions. If we are yielded to Him, then sacrificial suffering will be our lot - but the whole message of this gospel is that the sacrifice will lead to the glory. Peter, wasn't he the one that had the most problems grasping this great issue of the Way of the Cross, the Calvary Road, the suffering before the glory, the cross before the crown - and yet we find out that he learnt this hard lesson so well, for we read in his epistle, 1 Peter 5 and verses 10 through to 11: 'The God of all grace, who hath called us unto his eternal glory by Christ Jesus, after that ye have suffered a while, make you perfect, stablish, strengthen, settle you. To him be glory and dominion for ever and ever. Amen'. He has called us to eternal glory, Peter says, 'after ye have suffered a little while'. Now this was the experience, or going to be the experience, of the church that Mark was writing to - the persecution of Nero and other emperors that the church would face in the years to come. The great temptation would be to sell out, and not suffer, and not serve, and Satan would promise them glory now if they denied Christ, but the pain would come later! That's what the Lord is teaching them: but if they suffer now, then the glory will be enjoyed by them for all eternity. I think that's what these verses are teaching, and it's interesting to note as well that the meal offering in Leviticus 2:13 was also seasoned with salt. We know that the meal offering is a type of the perfect character of our Lord Jesus that was sinless and accepted by God, and that's the life we are to live as we are filled by the Spirit of God, manifesting the character and fruits of Christ. The lifestyle of the believer should be full of grace, yet - as Colossians says - seasoned with salt, Christ-like. Is your life Christ-like, believer? First of all we need to ask: have we had the heart of the matter dealt with, which is the problem of the heart? Are we born again? We cannot, by the flesh, cease from doing sins and the deeds of the flesh, it is hopeless! We are helpless, we need to come to the foot of the cross and say: 'Lord, I cannot, but You can and Christ has'. It is finished, it is done - it's not 'do', it is done! But you know, we've got to stay at that cross if we want to move on with God, and continually we need to get down there before the cross of Christ and make this sacrifice of self daily. Is that what we're doing? Or are we a stumbling-block to ourselves? Oh yes, our hearts are regenerated - but we're letting our hands, and our feet, and our eyes do things, and other members, that are feeding our sinful fleshly nature and not making us more like Christ - and because of that we're losing our saltiness. We are to be condemned, and we're not that glorious, holy, acceptable sacrifice to God, which is our expected worship. What a teaching! Don't be a stumbling-block to your brother, don't be a stumbling-block to yourself - but then thirdly and finally: don't be a stumbling-block to the world. You see, the disciples had been taught already by the Lord Jesus in the Sermon on the Mount in Matthew 5 that they were the salt of the earth, they were God's salt in this world - but they are in danger of losing their flavour, they're in danger of becoming worthless. If the salt has lost its saltiness, wherewith will it season? You see, now salt today that we buy in the supermarket, it's different than the salt spoken of here in the Bible. Our salt today is purified, and it doesn't lose its taste, but salt in our Lord's day contained impurities - that meant it could lose its flavour. What the Lord is saying here is: if we lose our servanthood character, our Christ-like character, our humility, our love, our mercy, our justice and grace, we lose our savour, we lose our saltiness - and that means we lose our attractiveness to unbelievers of this world! Have we had the heart of the matter dealt with, which is the problem of the heart? Are we born again? We cannot, by the flesh, cease from doing sins and the deeds of the flesh, it is hopeless! Basically what the Lord is saying is: we are useless, we're useless! That's what salt is that has lost its savour: it's useless! We are useless if we lose our Christ-likeness! Don't be a stumbling-block to the world by losing your Christ-likeness. Now, you will know, if you have ever ate a lot of salt, that it makes you want to drink, it makes you thirsty. If we are salty in our character, we will make people in this world thirst after God, we will make them thirsty after Christ, we will make them long for Him because He will be attractive as He is manifested, His life manifested in our life! Now is that the case today in the world? Of course it's not! We are a stumbling-block to people who are unconverted, people on their way to hell - we are getting in their way coming to Christ! Rather than causing people to thirst after God, and be attracted to God, people are repelled by the behaviour of the children of God! Now I think we need to face this, and I think it's something that is being avoided by many in the church of Jesus Christ - particularly in our land here in Ireland. We are one of the greatest stumbling-blocks! So many non-Christians I ask: 'What is the reason why you have never trusted Christ? ', time and time again they tell me, 'Oh, I have a brother, a sister, a father, a mother, I have a child, I have a work colleague, a business affiliate, and they have betrayed me! They have let me down! They have done the dirty on me! They have stabbed me in the back! They have two-faced me!'. They are the reason - now they may not be the ultimate reason, nor the primary reason, but they're one reason - and they are a reason that shouldn't be a reason, because the Lord teaches us: do not be stumbling-blocks to the world. Don't lose your saltiness, for you become useless. Mahatma Gandhi is a very interesting character, that great Indian leader. He was a Hindu, of course, by religion - but he did admire the Lord Jesus, and in fact he often quoted from the Sermon on the Mount on several occasions. Once the Christian missionary, E. Stanley Jones, met with Gandhi and he asked him this question: 'Mr Gandhi, though you quote the words of Christ often, why is it that you appear to so adamantly reject becoming His follower?'. Gandhi replied: 'Oh, I don't reject your Christ, I love your Christ - it's just that so many of you Christians are so unlike your Christ'. Listen to that! 'I don't reject your Christ, I love your Christ - it's just that so many of you Christians are so unlike your Christ'. There's the problem, there's the problem. Apparently, I am led to believe, Gandhi's rejection of Christianity grew out of an incident that happened when he was a young man practising law in South Africa. He had become attracted to the Christian faith, and he had studied the Bible and teachings of Jesus, and was seriously exploring the possibility of becoming a Christian. So he decided one day to attend a church service and, as he came up the steps of the large church where he intended to go, a white South African elder of the church barred his way at the door: 'Where do you think you're going kaffir?' - that's an offensive term. The man asked Gandhi in a very belligerent tone: 'Where do you think you're going kaffir? ', and Gandhi replied, 'Well, I'd like to attend worship here'. The church elder snarled at him: 'There's no room for kaffirs in this church. Get out of here, or I'll have my assistants throw you down the steps!'. From that moment Gandhi said, apparently, that he decided to adopt what good he found in Christianity, but would never again consider becoming a Christian if it meant being part of the church. Now often - we've got to face this, believers - the way we treat other people, whether it's our brothers and sisters in Christ, whether it's how we treat ourselves and deport ourselves in our everyday life, or whether it's how we treat people in the world, it tells more about what we believe than anything we say, or anything we intellectually or doctrinally aspire to. It says more about what being a disciple of the Lord Jesus means than anything else in the world - how we treat others! Let's come back to the disciples for a moment: instead of rebuking others, like this unknown little one who cast out the demon, they should have been examining their own selves, their own hearts - that's what we need to do. We're so busy looking at others and condemning others, and criticising and critiquing others. The Jews had a maxim regarding salt: 'The world cannot survive without salt', they said. The world cannot survive without salt, without salty Christians! It needs them! God intended that it should have them, and Christ ordained them and sent them into the world - and He says in verse 50: 'Have salt in yourselves'. In other words, be a power for God in this world, and be intolerant of anything in your life that might lessen your effectiveness for Him, and have peace with one another - have peace with one another. Never underestimate that. Basically what the Lord is saying here is: we are being watched. We are being watched by the world. We are being watched by other brothers and sisters in Christ, some weaker than us, looking up to us, following our example. Oh, but most importantly: we are being watched by the Lord, whose judgement matters most. The Lord teaches, and Mark articulates it: servanthood, servanthood and sacrificial humility are the only paths to true Christian greatness in His eyes. True greatness, we've explained that - but are there stumbling-blocks in your life to true greatness? Are you a stumbling-block to your brother? Are you a stumbling-block to yourself? Are you a stumbling-block to the world? Let us pray: Father, those of us listening to these words today just fall before Your throne now. Oh God, we ask for Your grace, and for Your help to realise, Lord, the great weight of truth that is enshrined within these words that we have read. Oh God, we long for true greatness, and yet we don't want to pay the price of the suffering and the sacrifice that is necessary to attain it. Lord, what we are talking about, we thank You, has nothing to do with forgiveness of sins - it has been attained, that work is finished - but Lord, if we're going to follow Christ, and if we're going to do great exploits for Christ, we've got to go down this Calvary Road. Lord, let nothing be a stumbling-block on that road for us, or that we - God forbid - should put in front of others on that road. Let us not be a stumbling-block to our brothers and sisters, forgive us when we have been. Forgive us, Lord, when we have flaunted our liberty, made an excuse for sin and fleshliness. Lord, forgive us when we have led ourselves into temptation and sin at times by our hands, by our feet, by our eyes. Lord, forgive us when we're a stumbling-block to the world. Oh that we would hear, like M'Cheyne, the tramp, tramp, tramp of Christ-less feet going into a lost eternity. Lord, we pray that we will do something to stop them going there, rather than be an obstacle to them coming to Christ. Oh God, forgive us, we repent, and we pray for the grace to live this life of the Spirit to the glory of God, and to be salt that others may thirst through looking at us and our example, that others may be drawn to the Lord Jesus - for the world will die and perish without salt. Hear us we pray, for the glory of the Lord Jesus Christ alone, Amen. 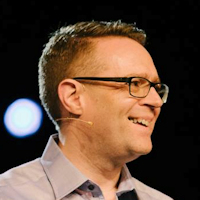 Don't miss part 44 of our Studies In Mark: “The Sanctity of Marriage and The Security of Children"
This sermon was delivered in Belfast, Northern Ireland, by David Legge. It was transcribed from the forty-third recording in his 'Studies In Mark' series, entitled "The Stumbling-Blocks To Greatness" - Transcribed by Andrew Watkins, Preach The Word.